Update 5: It's official – PowerA has run out of free MOGA systems. In a post to Facebook on the matter, PowerA assures readers that "Santa still has something in his bag for you," so we may see another awesome deal soon. Update 4: Well this has been a roller coaster – it seems the promo code is once again working. 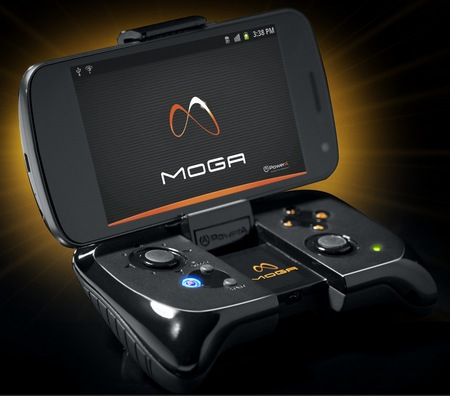 Update 3: It looks like while PowerA is online, the site is no longer offering the MOGA controller deal. When entering the relevant promo code, users are greeted with a message that "the promotional item is no longer available." It's unclear whether the earlier mention of "extending the offer" will hold true, but we'll keep you updated. Update 2: PowerA is back online. Those who didn't get their order in earlier, gogogo! Update: It looks like PowerA.com has gone offline due to an "overwhelming response." The good news, though, is that the MOGA deal will be extended. PowerA hasn't given any details on when the site will come back, or just how long we can expect to see the deal, but would-be customers are encouraged to keep up to date on PowerA's Facebook and Twitter. Wow - Gameloft and PowerA have teamed up to offer a pretty nice gift for the holidays: a free MOGA controller and copy of Modern Combat 4. That's about a $60 value - you only have to pay for shipping! In order to nab your free controller and game, simply use coupon code SecretSanta at checkout. That's it! PowerA's site seems to be getting hit pretty hard right now, so you may have a bit of trouble getting your order in. This deal is good for today only, though, so you better jump on it! Unfortunately, it's for US residents only. Sorry, guys.